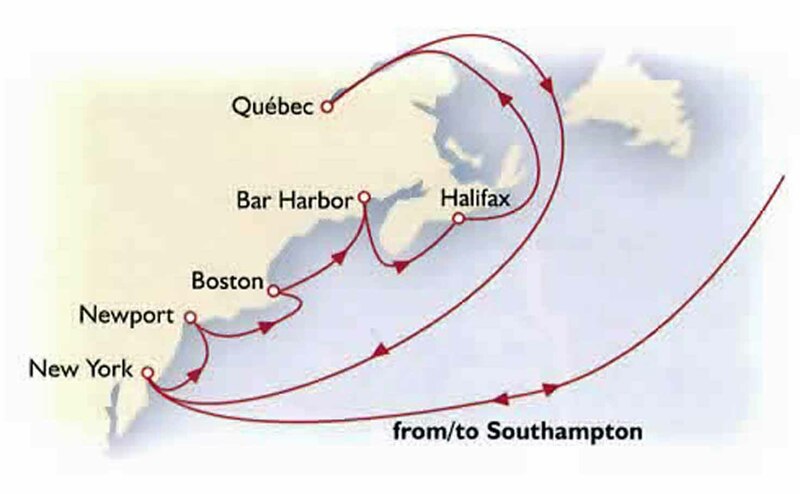 My wife and I embarked on Queen Mary 2 for a 24 night Southampton to Southampton voyage entitled ‘Grand New England and Canadian Wonders’. 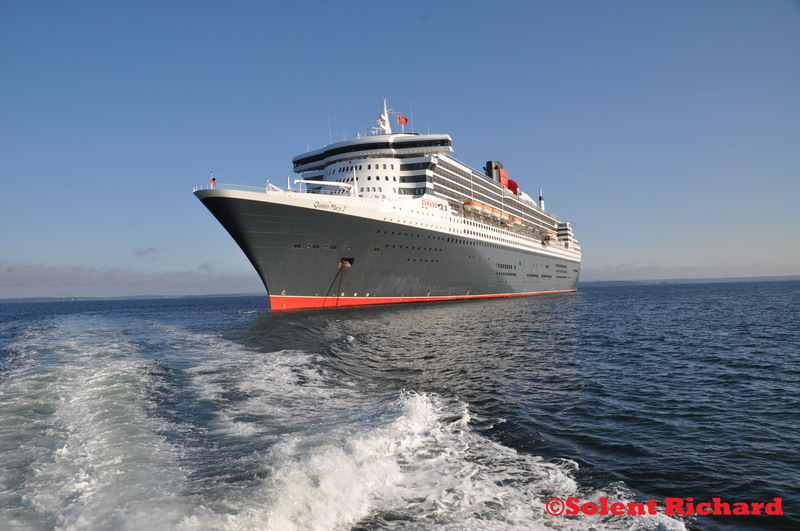 We have in the past made many trans Atlantic crossings onboard QM2, and normally spending five or six days in New York before returning home on the same ship. 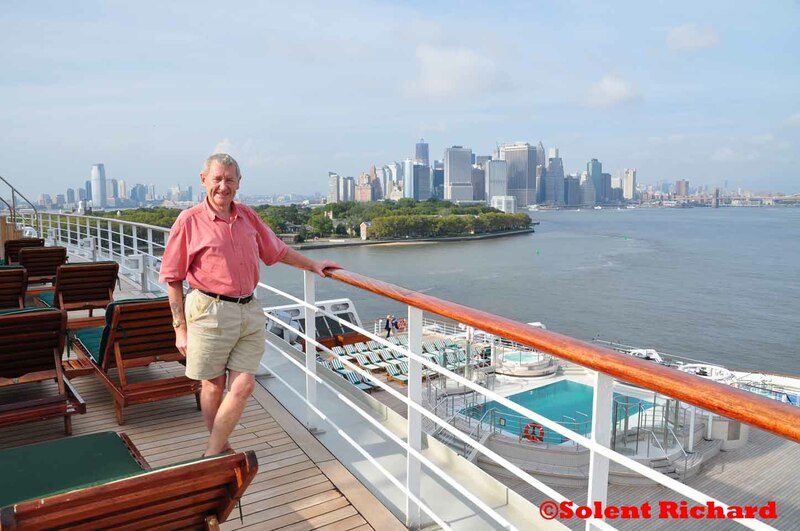 On this occasion we remained onboard QM2 while she sailed along the Eastern seaboard of the United States and Canadian coast, calling at Newport Rhode Island, Boston, Bar Harbor, Halifax and Quebec before returning to New York for the voyage home. 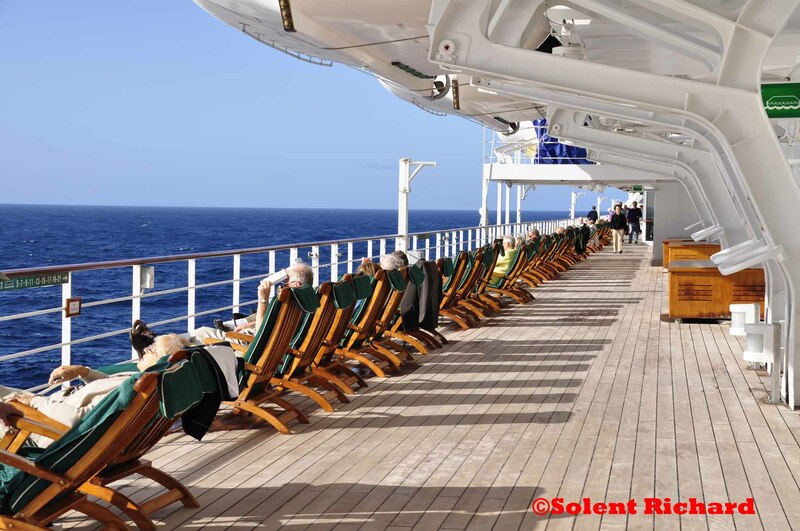 The itinerary of this voyage included two 6 full day Atlantic crossings which may seem a little daunting to many cruisers. However. QM2 and Cunard have a pretty unique mix of activities and entertainment onboard QM2 and generally speaking there is something for everyone to fully occupy these sea days. Apart from Ballroom and Latin dancing every evening the ballroom is also the venue for the famous White Star Service Afternoon Teas and on two occasions the Ballroom orchestra played for Afternoon Tea Dances. 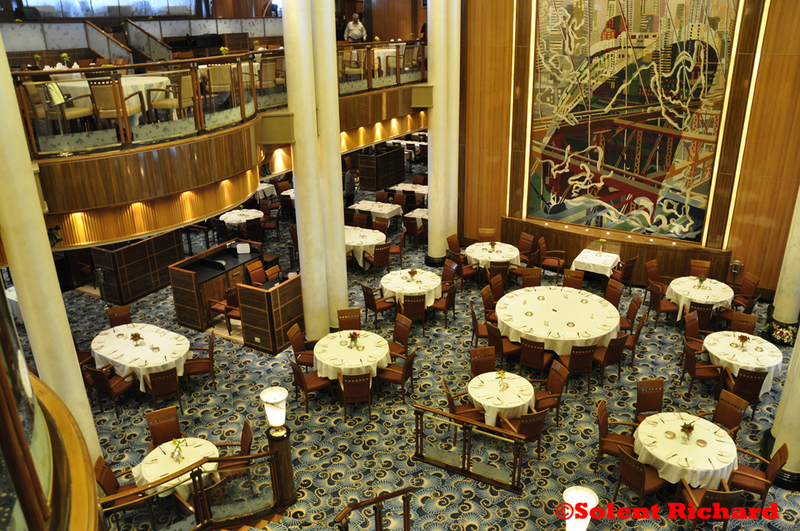 Cunard is famous for it’s ‘ballrooms at sea’ and certainly QM2’s is put to considerable use during the day. 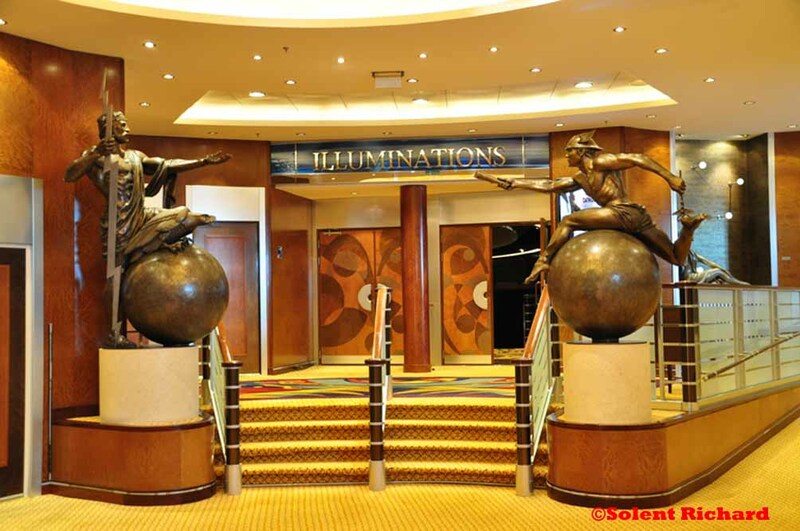 Dance lessons on this particular voyage included tap, line, Latin and Ballroom the latter two using professional instructors who have competed at some of the highest levels. Cunard’s ‘Insights’ programme offers rare opportunities to attend an exceptional line-up of distinguished individuals and personalities as well as specialist lecturers on all subjects from politics to astronomy and naval and maritime history to medical sciences. 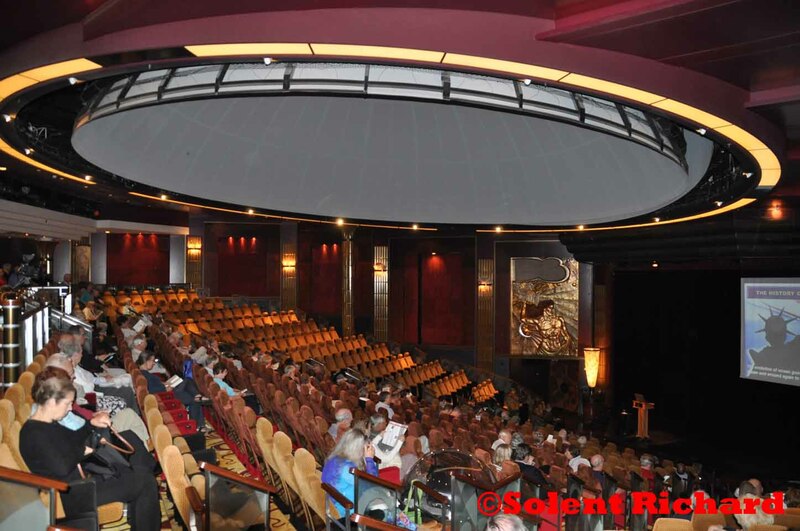 The Insights programmes are generally held in Illuminations, a purpose built, state of the art, 500 seat auditorium which is also home for The Planetarium, the first at sea, and the 3D cinema. On this particular cruise the three most popular speakers were undoubtedly Lembit Opik, who needs little introduction, ITN Cameraman Phil Bye MBE and Roger McGuinn, the founder of the Byrds Rock Band. 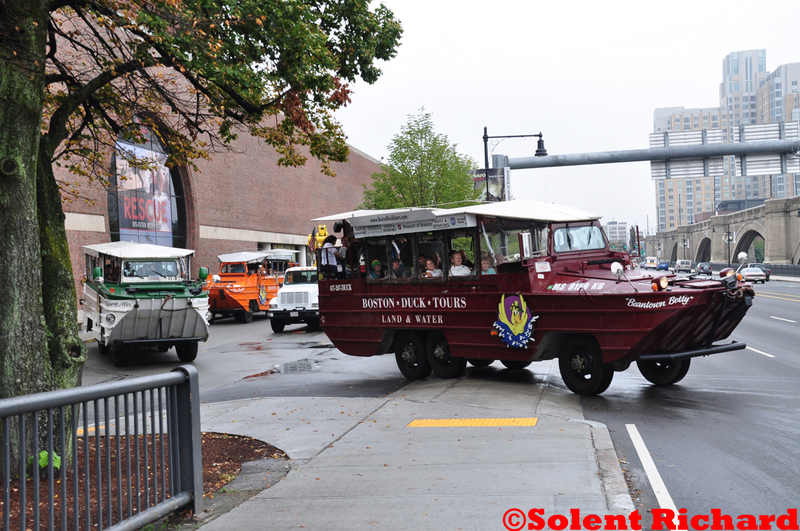 There are three separate Planetarium features on each voyage and each presentation is run four time a each day. 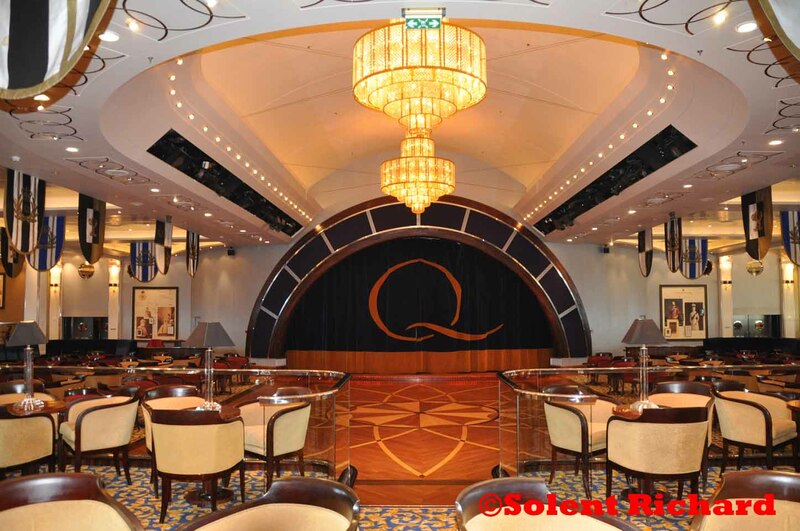 There are fourteen bars on Queen Mary 2 and seven galleys serving 10 dining rooms and eating venues. There are four main dining restaurants and access to individual ones is dependant on the level of accommodation a passenger has booked. …which operates a two sitting dining system for Dinner each evening (Table allocation in the Britannia Restaurant is for Dinner only) and an ‘Open’ seating system for breakfast and lunch. 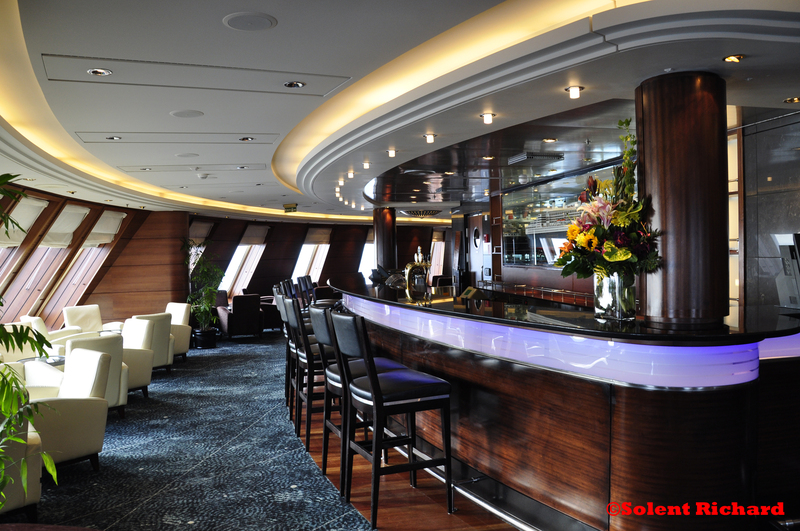 It can seat upwards of 1,350, is three decks high, and spans the width of the ship. 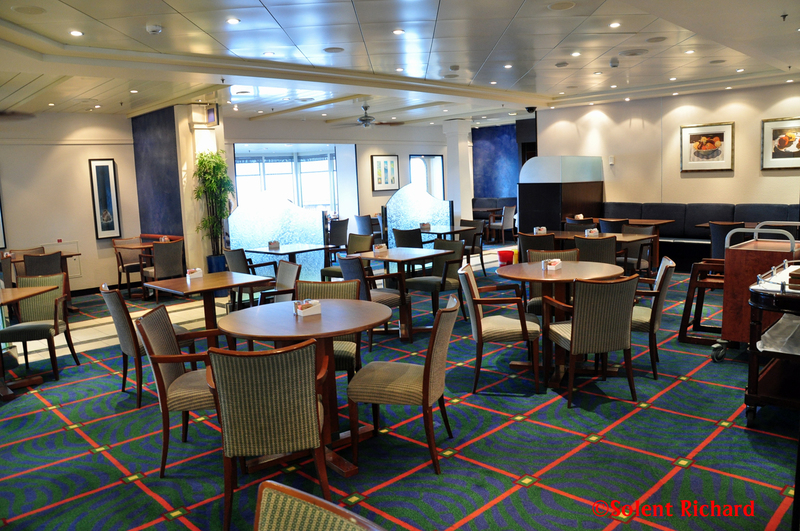 One particular advantage of dining in either of the Grills or Britannia Club restaurants is the fact that the passengers allocated table is available for all meals with the same waiting staff. 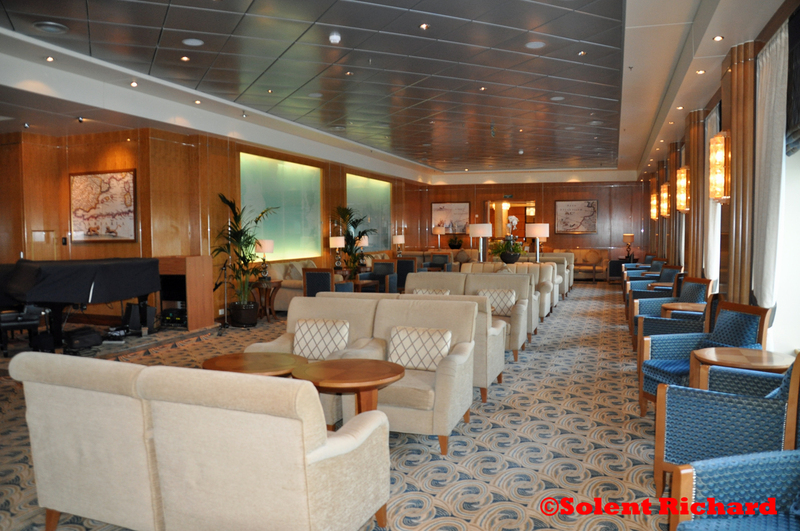 Britannia Club, for passengers in the 46 staterooms graded AA Club Balcony, also enjoy dinner seating between 6.60 and 9.00pm. It is open for all meals almost around the clock. Based on William Todd English, a celebrity chef, restaurateur, author, entrepreneur, and television personality who is based in Boston, Massachusetts but has restaurants in Los Angeles, New York, Florida and Las Vegas. 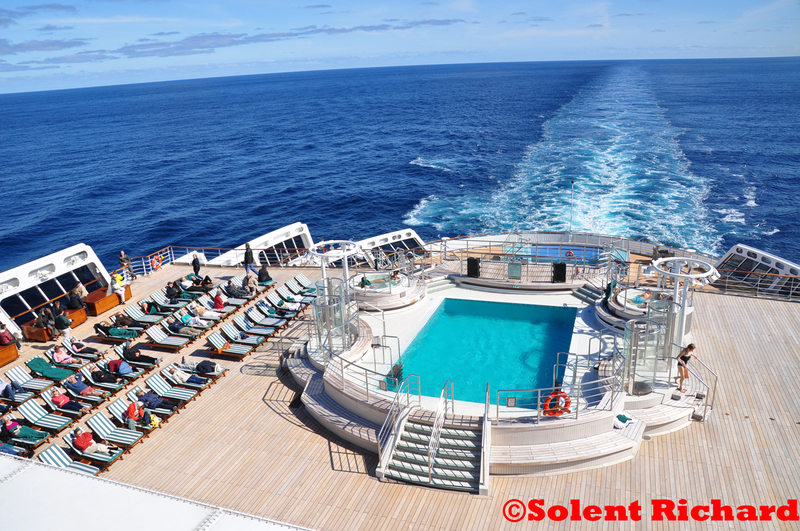 When it comes to entertainment it is the evenings at sea that make Queen Mary 2 so special. 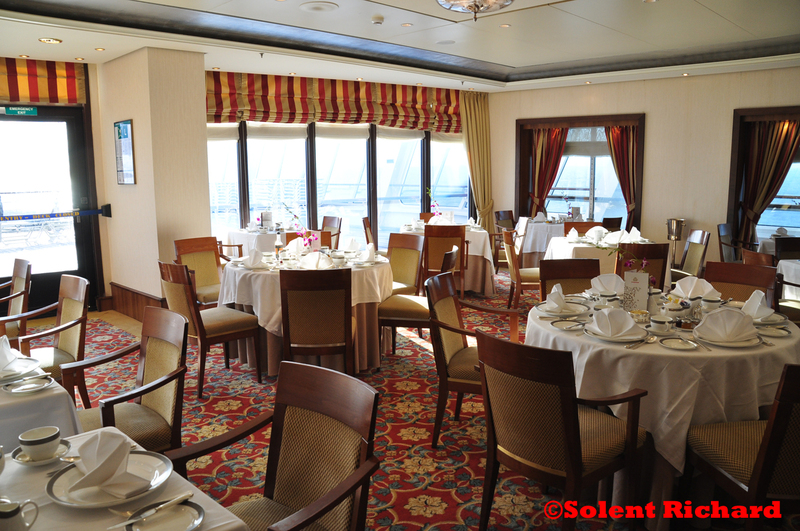 Cunard, by tradition, have a large number of ‘Formal’ evenings and the standard of dress is always very high. Whether your interests lie in theatre, dancing, classical or cocktail piano music, there is going to be something for you. 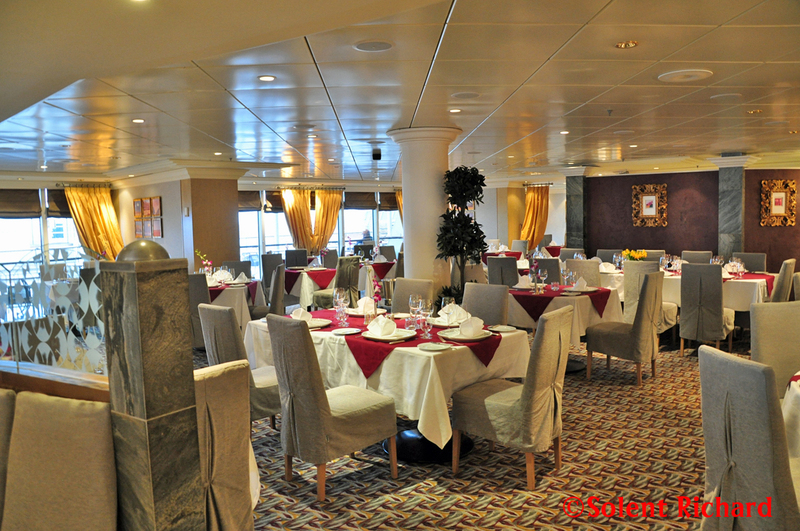 That of course is in addition to the grand dining occasions in the main restaurants. For those who maybe averse to ‘dressing for dinner’ the Kings Court buffet restaurant turns itself into a number of themed restaurants, some with a cover charge, but where ‘Elegant Casual’ dress is acceptable. ….is the place to be. For single unattached ladies there are usually around half a dozen ‘Gentleman Hosts’ to whisk and chassis you around the floor and many formal evenings are allocated a theme such as ‘The Royal Ascot’ Ball or the ‘Black and White’ Ball. 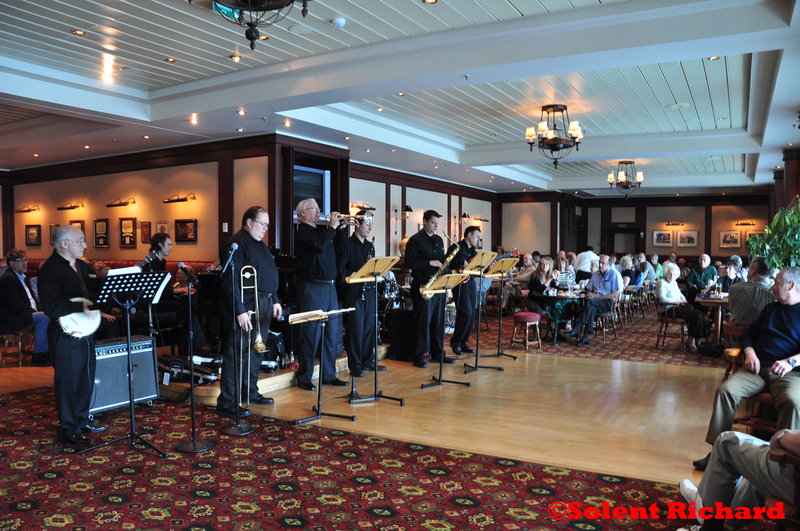 These glamorous events are generally hosted by a member of the entertainment staff and guests can also expect to see one or two amazing dancing displays given by the ship’s professional international dance instructors. 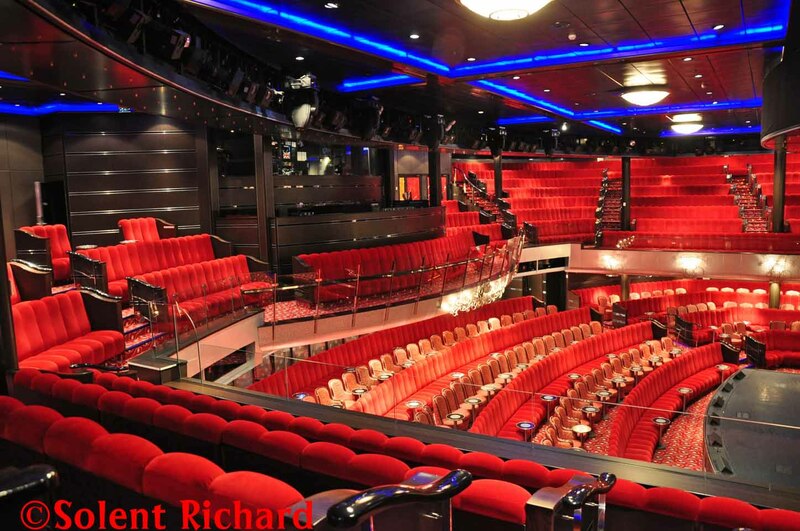 Queen Mary 2 also has its own theatre – The Royal Court Theatre – where production shows are regularly performed by the ship’s Theatre Company in addition to a variety of visiting entertainers from comedians to solo musicians to ventriloquists. The Royal Court Theatre covers two decks and accommodates shows twice an evening in order that guests on different dinner sittings will not miss a show. 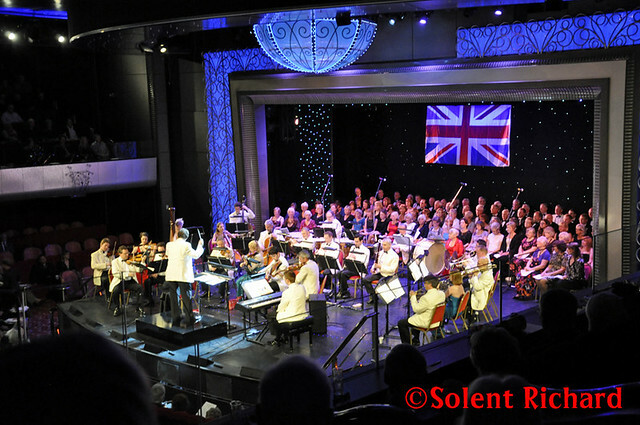 On this particular voyage Cunard had arranged for the National Symphony Orchestra, under the direction of Anthony Inglis, to sail for six nights on the New York to Southampton Atlantic crossing. The first six nights on board were spent at sea crossing the Atlantic and we eventually entered New York on 27 September. Another day and another port of call. 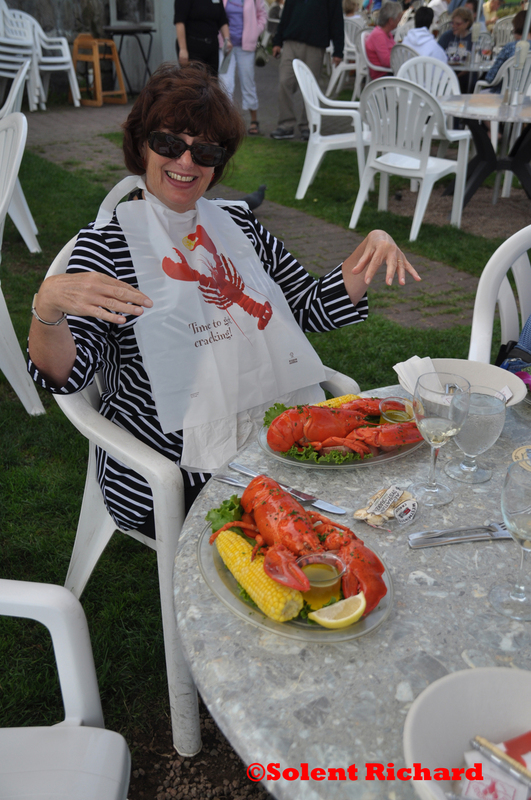 This was to be our second ‘tender’ port Bar Harbour, in the State of Maine. Having had a full day in Bar Harbour we sailed early evening and headed north along the Eastern Seaboard and berthed at Halifax, Nova Scotia the next day. 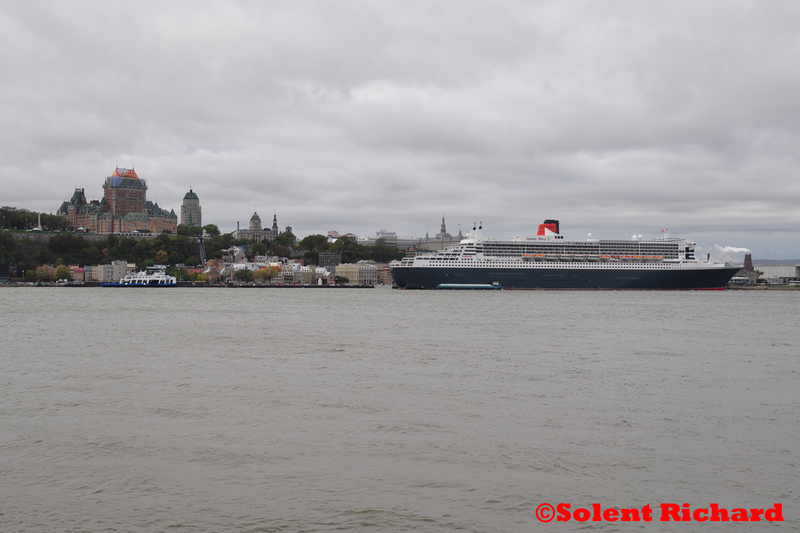 Halifax has a great Cunard tradition, Sir Samuel Cunard making his first trans Atlantic voyages to Halifax.However, it was another passenger line that we were most interested in for this visit. 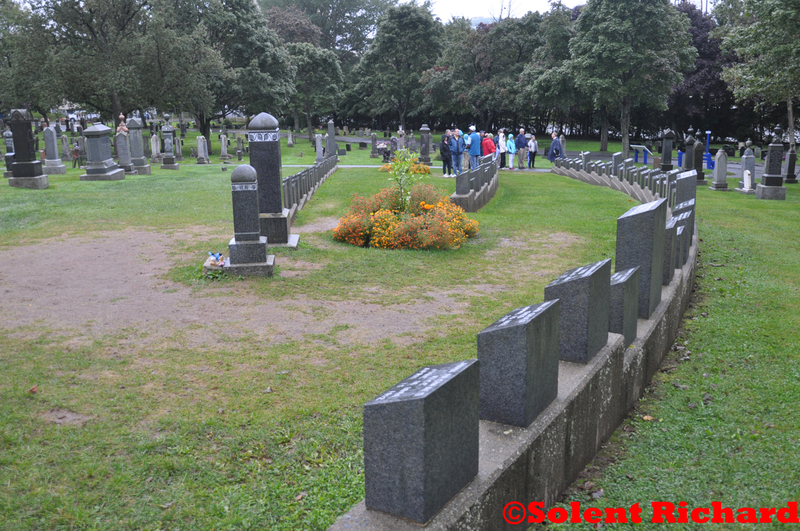 Halifax, Nova Scotia is synonymous with the sinking of RMS Titanic and we were keen to visit the Fairview cemetery where 121 victims of the disaster are buried. From the above picture, taken at Fairview Cemetery, it can be seen that the headstones form the outline shape of a ship. 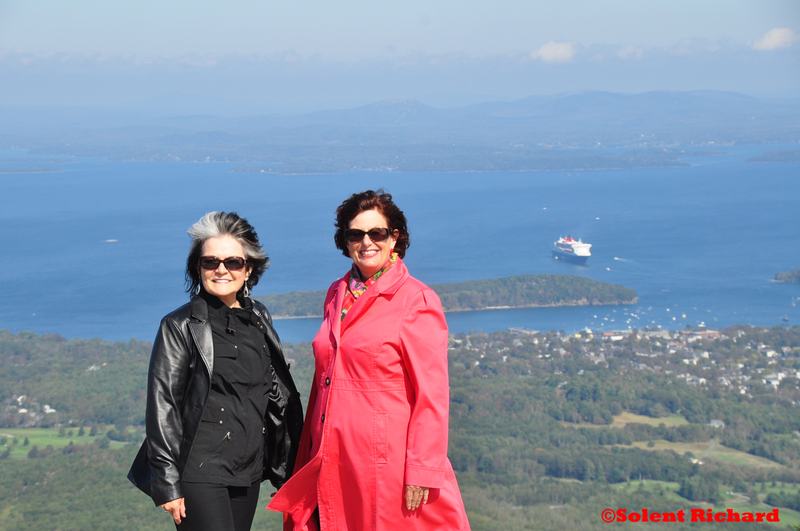 It took us two days to arrive at our next port of call, Quebec, where we enjoyed an overnight stop. 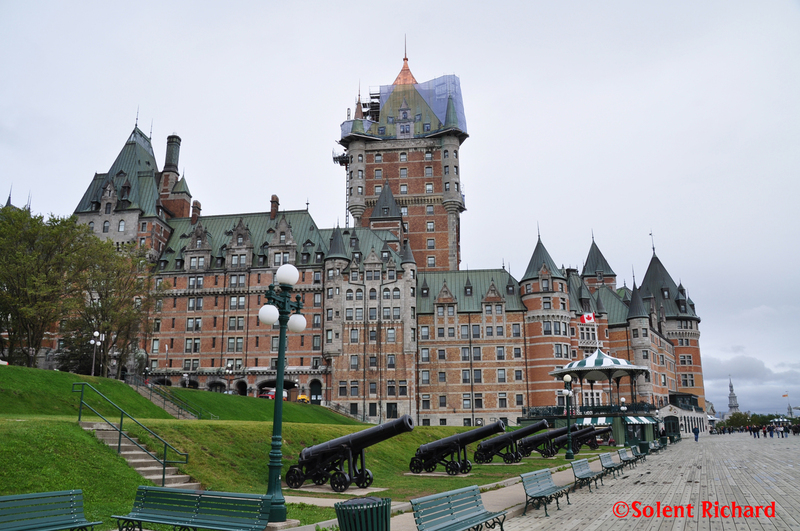 Day one we spent discovering the Plains of Abraham, The Chateau Frontanac and the areas of Quebec on that side of the St Lawrence River. 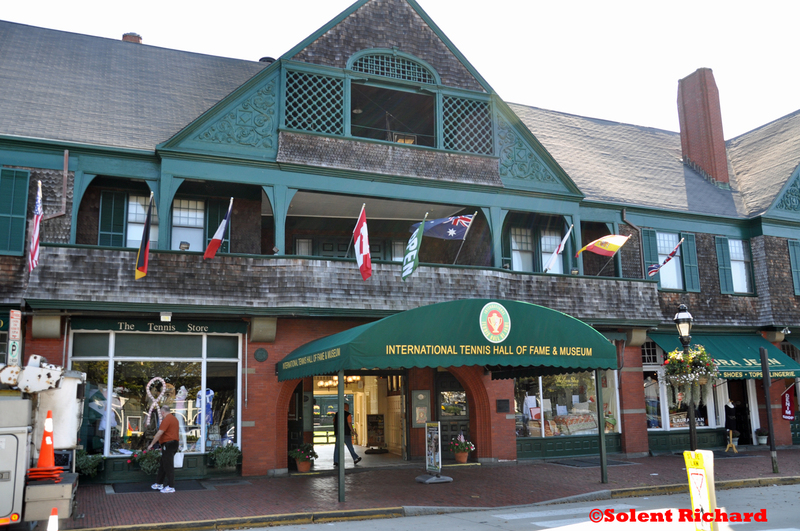 Our visits to Quebec, Bar Harbor, Newport Rhode Island and Boston will feature in the Port Review section of this blog in due course. Sailing from Quebec we returned to New York before completing the Eastbound crossing back to Southampton. 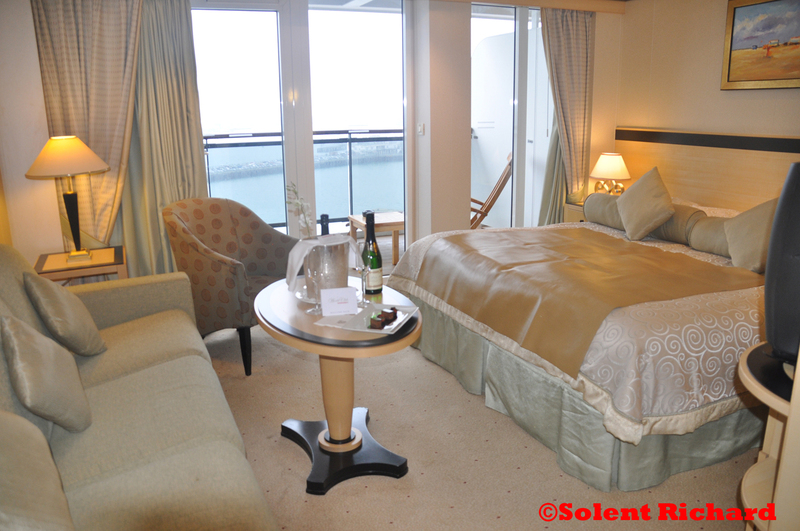 A truly wonderful cruise on a truly outstanding ship. the best on the ship, the dancelesson with wilfried and ilona.